Ford will pay around $200 million in cash to workers and suppliers who lose their jobs when the company closes three of its plants in Russia in June, the company said in a statement. The U.S. automaker is closing two assembly plants and one engine factory because it says the passenger vehicle market in Russia is no longer profitable. One assembly plant will remain open and will focus on the production of Ford Transit light commercial vehicles. Ford’s Russian operations employ 3,700 people in total through its Ford Sollers joint venture. Mikhail Sergeyev, the chairman of the union representing employees at the Vsevolozhsk plant near St. Petersburg, told the RBK news website that the union would seek redundancy payments of two annual salaries for each of its members. The Russian passenger vehicle market has been under significant pressure in recent years, with recovery slower than expected and a shift to consumers buying lower-priced cars, Ford said in its statement. This resulted in underutilization of the Ford Sollers plants and inadequate returns on invested capital. 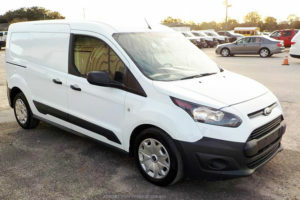 At the same time, Ford Transit sales increased and the vehicle grabbed a 15 percent share of the Russian market. The RBK news website cited the Association of European Businesses as saying sales of passenger cars in Russia halved to 1.4 million between 2013 and 2016, and recovered to only 1.8 million in 2017. The plant near St. Petersburg has been producing the Ford Focus and Mondeo and the Naberezhnye Chelny factory in the republic of Tatarstan the Fiesta and EcoSport. “We believe our decision to focus on the Russian light commercial vehicle market will result in a stronger performing joint venture, and enables us to benefit from future market growth in the segment,” said Sollers CEO Vadim Shevtsov.